Sequel Group is toasting the success of some of our very own icons after a string of successes at the Institute of Internal Communication’s ICon Awards. 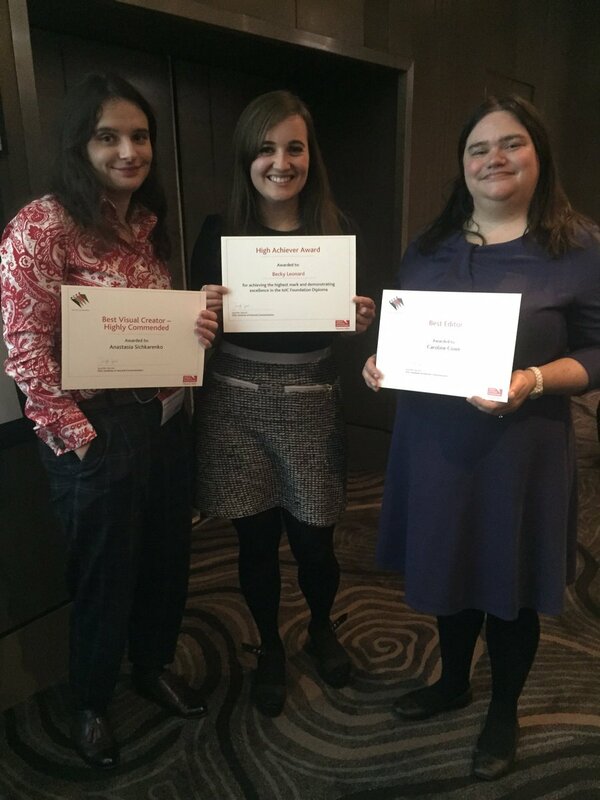 Becky Leonard won the High Achiever award after coming top of the class in the IoIC Foundation Diploma, and Anastasia Sichkarenko was highly commended in the Best Visual Creator category. And it was great to see a member of our extended Sequel family, RBS’s Caroline Cowe win the Best Editor award. Also shortlisted were Sequel’s Claudi Schneider for Best Visual Creator and Jessie Watts for Rising Talent – Best Young Communicator. Held at the Radisson Blu Edwardian Hotel in London, the awards celebrate the best and brightest in internal communication, and we’re thrilled to be in the company of such talented peers. Congrats Becky, Anastasia, Caroline, Claudi and Jessie!